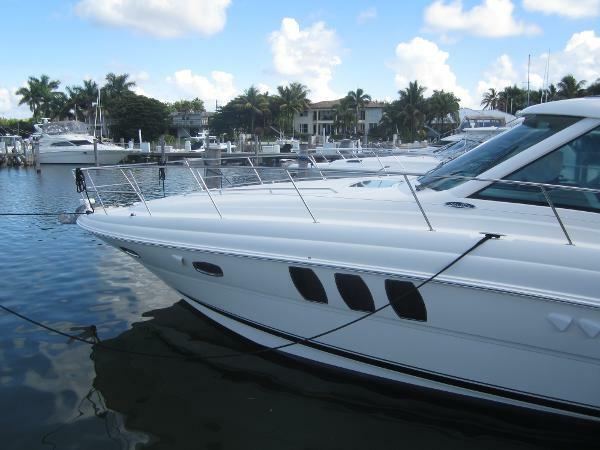 2006 Sea Ray 48 Sundancer This beautiful, ingeniously designed 48' Sea Ray Sundancer with it's gorgeous curves and aerodynamic profile is sure to attract attention! 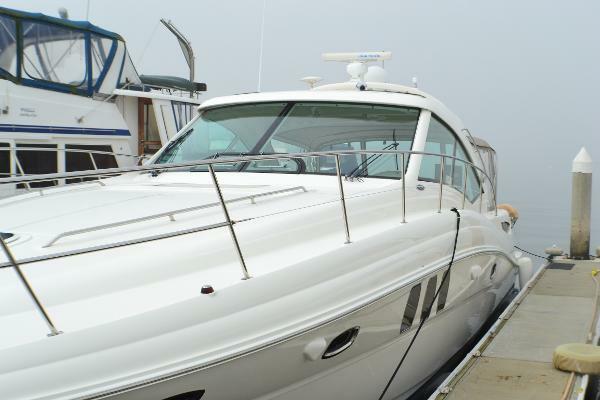 She has been meticulously maintained and shows like a new boat! 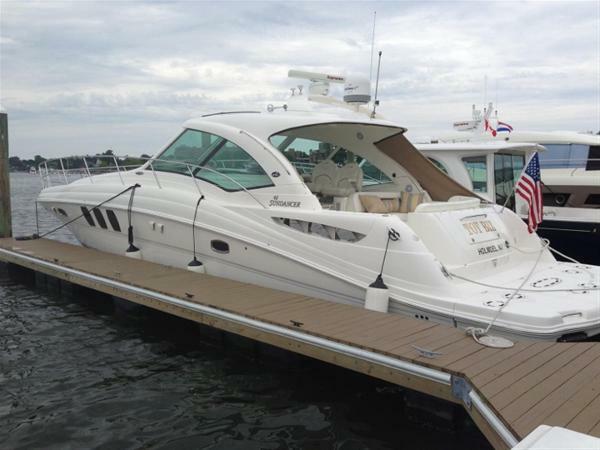 2005 Sea Ray 48 Sundancer Very Nice Sundancer Twin Cummins QSC-540 with 517 hp, Powers This 2 Stateroom, 2 Head, Spacious Galley With A Well Appointed Salon. 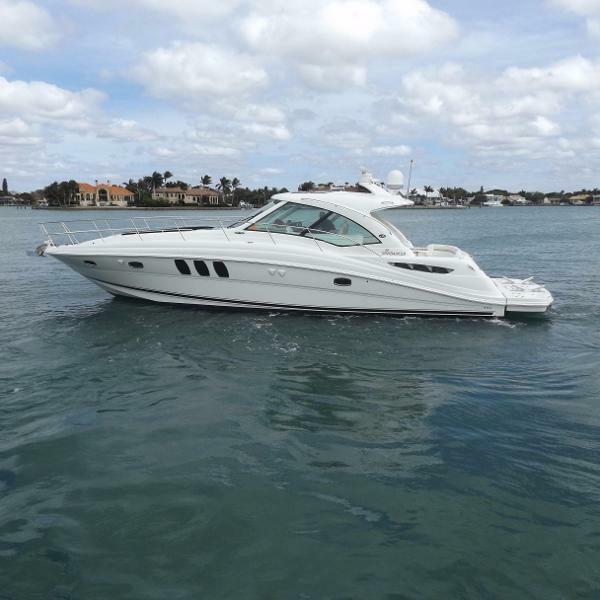 This Boat Is Loaded With Extras & Options Such As, Dark Cherry Cabinetry, Wood Galley Flooring, LCD/TV/DVD In Cockpit & Mid-Stateroom, Sun Pad, Generator, GPS/Chartplotter. 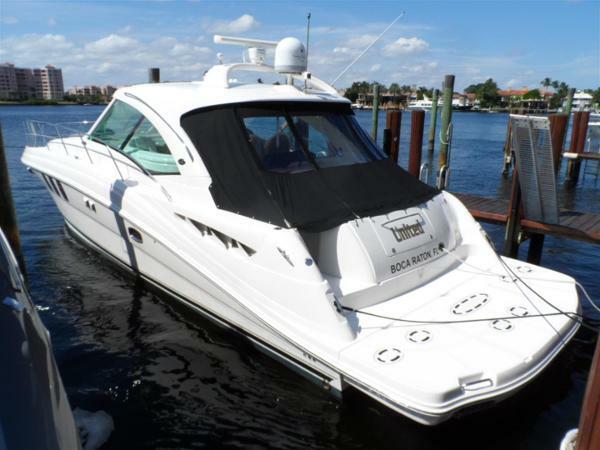 2005 Sea Ray 48 Sundancer (CURRENT OWNER OF 10-YEARS) BOASTING ALL OF THE MOST SOUGHT AFTER OPTIONS THIS 2005 SEA RAY 48 SUNDANCER OFFERS A TREMENDOUS OPPORTUNITY-- PLEASE SEE FULL SPECS FOR COMPLETE LISTING DETAILS. LOW INTEREST EXTENDED TERM FINANCING AVAILABLE -- CALL OR EMAIL OUR SALES OFFICE FOR DETAILS. Freshwater / Great Lakes boat since new this vessel features Twin Cummins QSC 8.3 517-hp V-Drive Engine's with only 475 original hours. 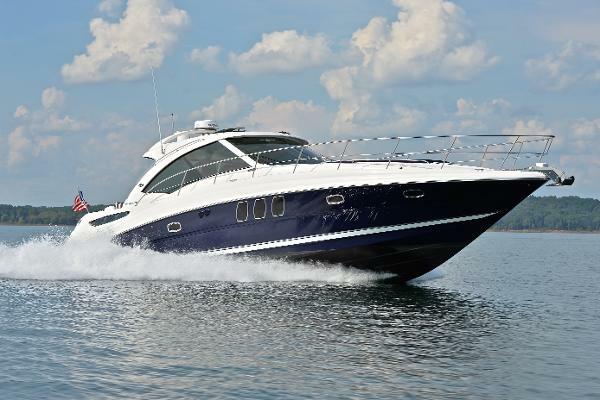 Notable features include but are not limited to the following: Air-Conditioing & Heat (w/Cockpit AC/Heat), (2) Head's (Vacuflush) w/Vanity/Sink/Stall-Shower, Central Vacuum System, Wash-Dryer, Dark-Cherry Interior, Bow Thruster, Onan 11.5kw Diesel Generator w/Sound-Box, Complete Electronics Package (Raymarine C120 Color Radar w/Raymarine E-Series GPS/Chartplotter, Raymarine Autopilot), Satellite Television w/Cockpit LCD-Television, Windlass Anchor w/Forward Pedal Controls, Cockpit Wet Bar w/Sink/Ice-Maker, Snap-in Snap-out Cockpit Carpeting (Aft) Teak Cockpit Forward, Premium Audio System w/iPod/MP3-Connection, and MUCH more! 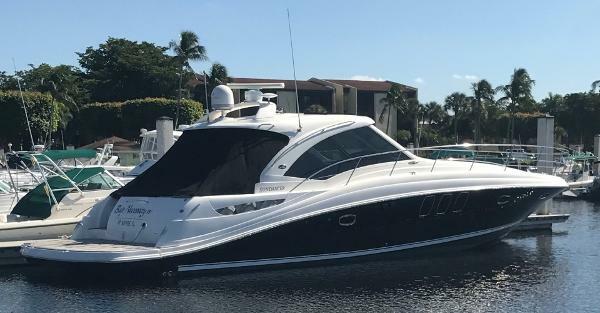 Broker Notes: Desirable pewter colored hull sides, Cummins QSC 8.3-540 diesel engine's, forward bow sun-pad's, teak upper cockpit, bose lifestyle surround sound system (salon), washer/dryer. Oil/filter change fall 2016. Seller will review all reasonable offers ... Highly recommended by listing agent! 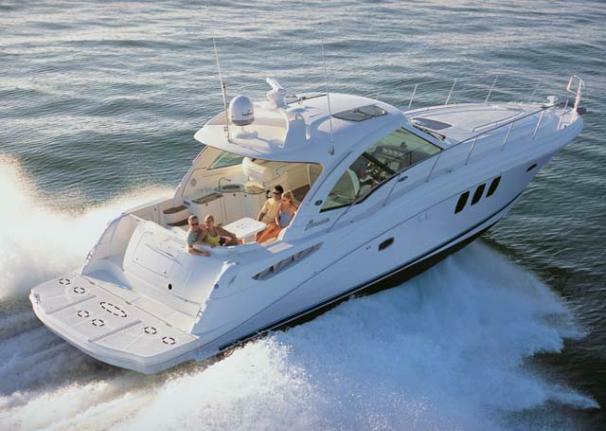 The PowerBoat Guide had this to say: Bold and innovative styling has been a Sundancer trademark for many years, an assertion that few marine industry pros would likely dispute. 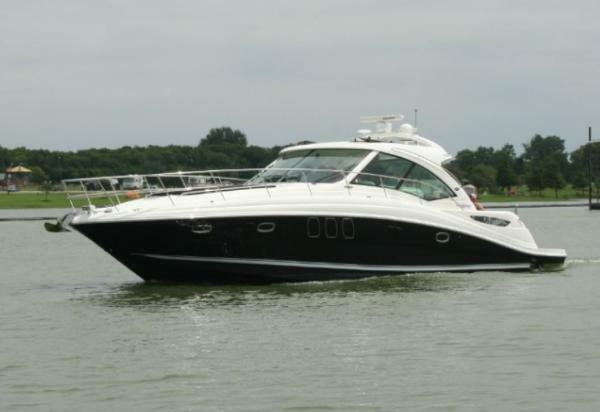 That was certainly in evidence in 2005 with the introduction of the 48 Sundancer, a remarkably handsome hardtop cruiser whose sweeping lines and distinctive hullside ports reset the styling standard for boats in her class. Built on a beamy deep-V hull with a solid fiberglass bottom and prop pockets to reduce shaft angles, the opulent two-stateroom interior of the 48 Sundancer is a sophisticated blend of high-gloss cherry cabinets, Ultraleather seating, hardwood floors and designer galley appliances. Both staterooms are private, and the forward head is split with the toilet and sink to port and the shower to starboard. A 26" flatscreen TV/ DVD is standard in the salon, and the aft head has a separate stall shower. The 48s sleek fiberglass hardtopwhich shades a good part of the cockpitincludes dual power sunroofs as well as power side windows. 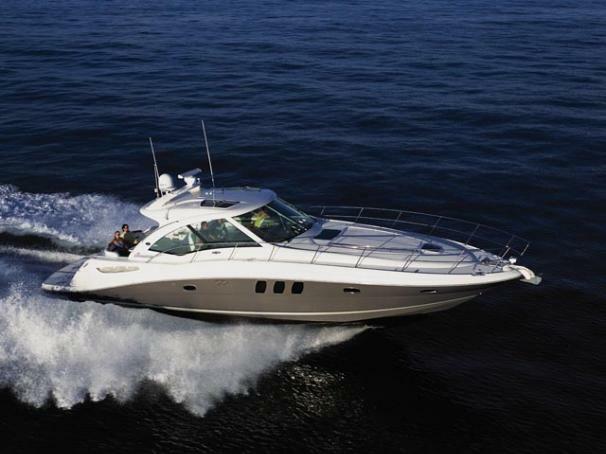 2007 Sea Ray 48 Sundancer The gorgeous curves and aerodynamic profile of the 48 Sundancer are sure to attract attention. Outfitted with a unique, electric windshield vent system that allows for an unbroken line from deck to roof plus a sleek hardtop with two extra-large sunroof hatches, this ingeniously designed beauty is nothing short of inspired. 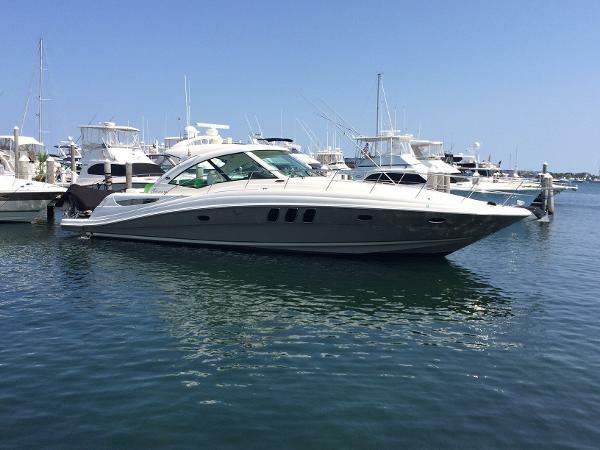 2008 Sea Ray 48 Sundancer ONE OWNER 480 WITH ONLY 198 ORIGINAL HOURS! HYDRAULIC SWIM PLATFORM, BLACK HULL, DIGITAL THROTTLE AND SHIFT! THE NICEST 480 AVAILABLE! Twin Cummins QSC 540HP inboard power, Bow thruster, Twin Raymarine E120 GPS/Chartplotters with 4KW open arrany radar and ST8002 autopilot, Upper helm teak package, dark cherry wood interior, wood galley flooring, forward deck sunpad, dual beam spotlight, cockpit TV, cockpit fridge, cockpit AC/heat with generator upgrade, washer/dryer combo, macerator for head system, central vacuum, generator sound shield, underwater lighting, all chain anchor windlass. 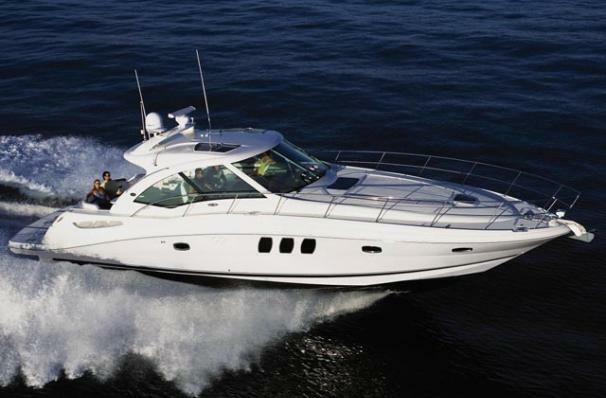 2009 Sea Ray 48 Sundancer The gorgeous curves and aerodynamic profile of the 48 Sundancer are sure to attract attention. Outfitted with a unique, electric windshield vent system that allows for an unbroken line from deck to roof plus a sleek hardtop with two extra-large sunroof hatches, this ingeniously designed beauty is nothing short of inspired. 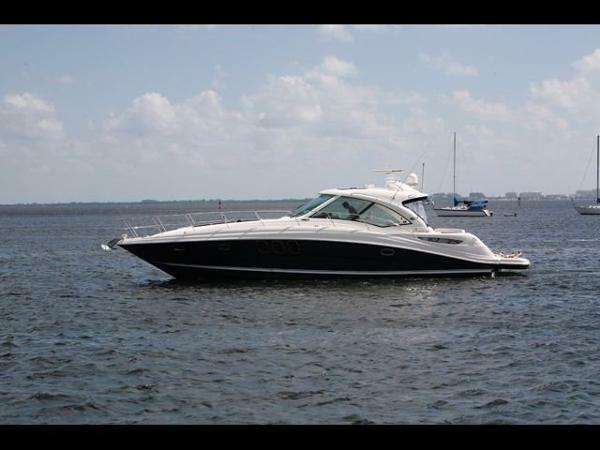 2006 Sea Ray 48 Sundancer 2006 Sea Ray 48 Sundancer. Extremely clean blue hull vessel with Cummins QSC 8.3 diesel motors @ 1067P 1069S well maintained hours. Upgraded dual touchscreen Garmin 5212 GPS units, KVH Sat TV, upgraded LED 40" smart TV in Salon, 27" LED smart tv's in staterooms and cockpit, JL Audio speakers and amp upgrade. Led lights in cockpit and helm area. Dual VHF antennas and radios.Fresh detail with new bottom paint, prop speed on shafts, rudders and props. Spurs cutters on shafts. New batteries 8/2016. All helm windows are professional and tastefully tinted. Full white canvas and sunscreens throughout and a helm drop with clear glass for heat and AC containment. Cover for sunpads. 200 feet all chain rode and 60 pound plow style anchor. 11.5 kW Onan -- Diesel (120/240V/60 Cycle) @ 1060 hours. Underwater lights, washer/dryer combo,Stainless galley refrigerator, convection microwave and glass stovetop. 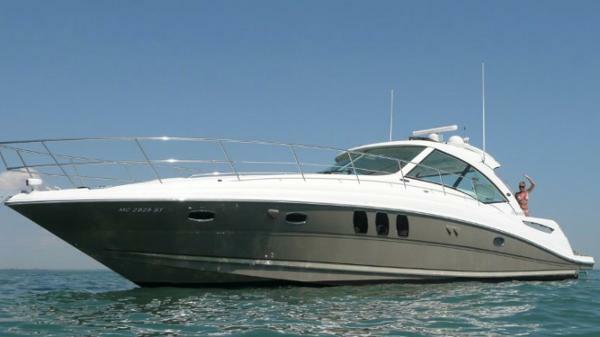 Interior is the Tommy Bahama brown with satin cherry cabinets (not high gloss) Spare props included in sale. Vessel has a davit on platform to lift up to 800 pounds for tender. 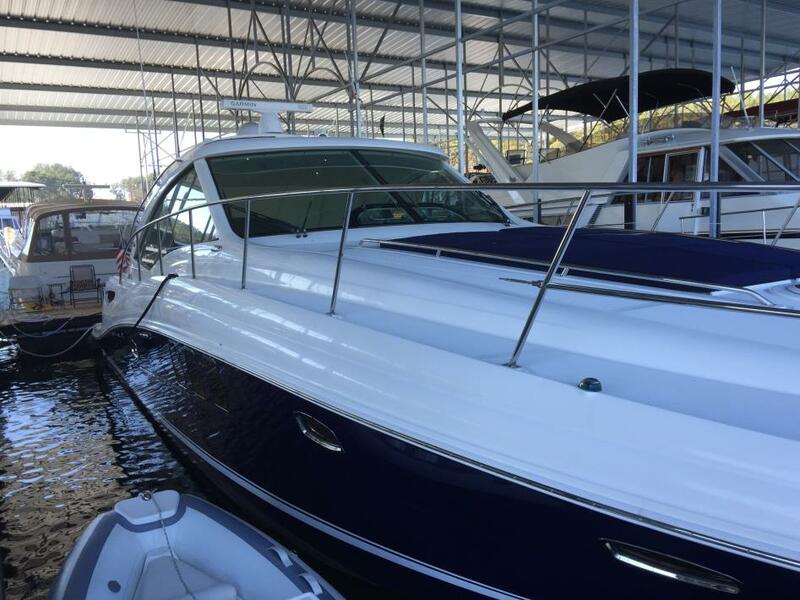 This boat is sitting on Lake Lanier under cover and is absolutely gorgeous. Every sytem and feature on this vessel works to spec and has been maintained properly. Pet Free and smoke free vessel. This is a private owner sale. Brokers are welcome.